Pinball FX is back, and it is better than ever! Pinball FX2 offers improved graphics and a host of new features for novices and experts alike: new state-of-the-art physics model that surpasses anything available so far, Operators Menu with custom settings and advanced play info, automatic in-game Challenges against your Friends, and split-screen local multiplayer mode - a first in video pinball history! 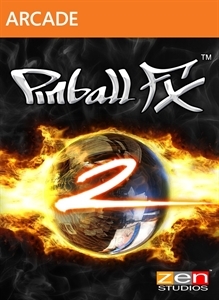 Pinball FX2 also offers full backward compatibility for Pinball FX owners - download Pinball FX2 for FREE and play all your Pinball FX tables within Pinball FX2!